He was born in Baki city on the 31st of March, 1967. Fakhraddin started working at Baki Porcelain Factory after he finished secondary school # 19 in Nasimi district in 1984. One year later, he was called for military service. 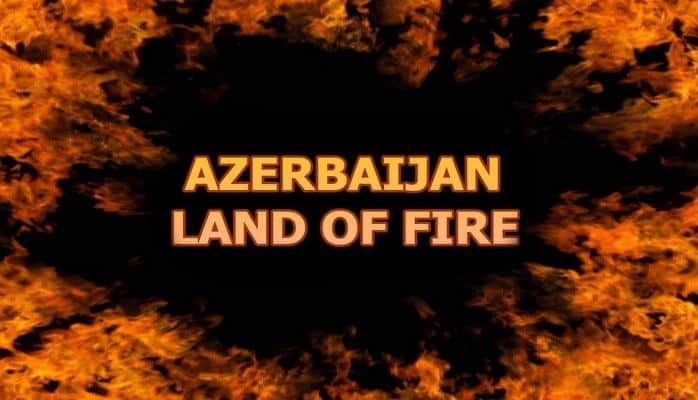 After he was discharged from the army in Arkhangels province in 1987, he returned back to his home country and was admitted to the Department of Fire Fighters within MIA. 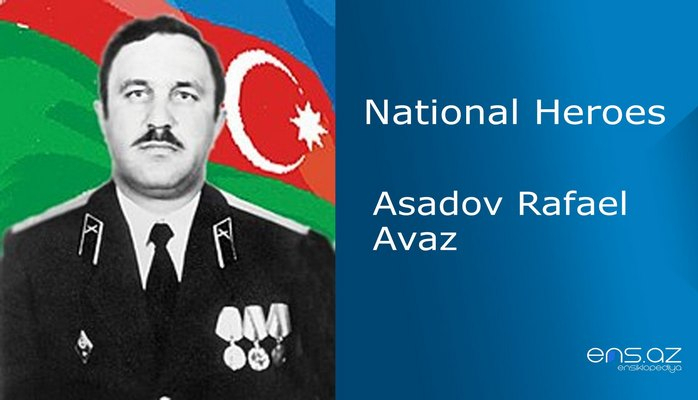 Najafov was sent to study at High School of Kharkov Fire Fighting by the Ministry in 1988. When Fakhraddin returned back after finishing the school, he was appointed as a chief of the guard within Fire Fighting Company # 14 in 1990. 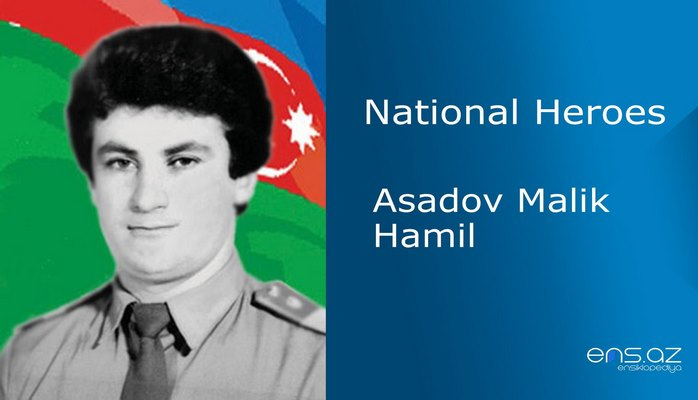 Fakhraddin Najafov voluntary joined self defense units and headed to Garabagh zone when Armenian armed forces started attacking Azerbaijanii lands in 1991. His first battle took place in Goranboy region. He later, was appointed as a company commander in one of the units in Aghdam region in 1992. A lot of bloody battles were taking place in Janyatag and Gulyatag villages of Aghdam region at that time. He was ordered to rescue our pilot whose plane was crashed within the enemy territory. F. Najafov and his team were ambushed and surrounded by the enemy while rescuing the pilot in Janyatag village. After several days of bloody and tense battles, the soldiers finally were able to break the siege. Falhradding was severely wounded many times during that battle. Thus, he had to be hospitalized and spent some time in the hospital. After he recovered, Najafov again returned to the battle zone. 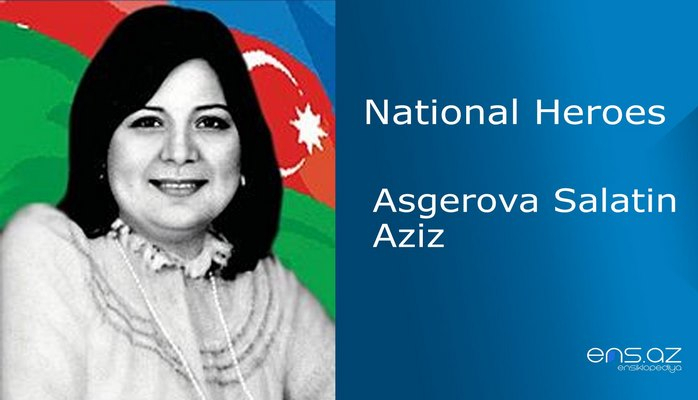 The brave commander who destroyed a lot of manpower of the enemy during the battle in Childiran village of Aghdara region heroically died on the 4th of September, 1992. 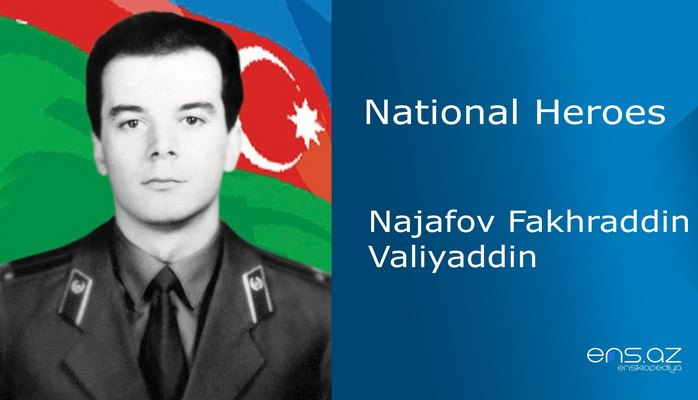 Najafov Fakhraddin Valiyaddin was posthumously awarded the title of the “National Hero of Azerbaijan” by the decree # 290 of the president of Azerbaijani republic on 6th of November, 1992. He was buried in the Alley of Martyrs in Baki city. 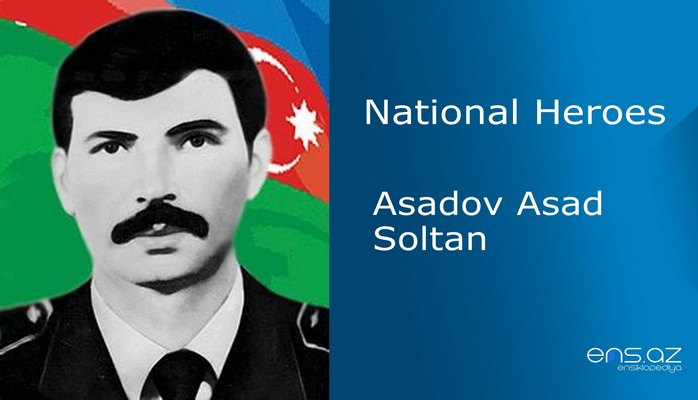 School # 266 in Nasimi district of Baki city is named after the hero. There is also a monument of him in the school yard.